It is a Grab Bag episode of The Sully Baseball Daily Podcast. Okay so it is an even year, so most fans in the Bay Area can only think of one thing…Another World Series ring right? Come on, they won in 2010 and 2012, why not 2014? The win in 2012 was a nice statistical oddity, but when you factor in that the hunger to win a World Series must dissipate a little bit when you have just cashed one in, then maybe another one can be achieved when the next year hits again. The Giants went 76 – 86 in 2013, this is more of a stretch, for when they completed the 2011 campaign at 86 – 76 following their 1st World Series Title. 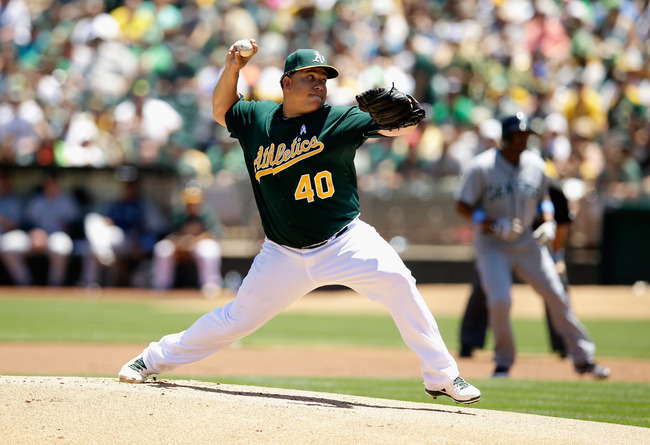 MLB’s 2014 Most Likely To Class……. 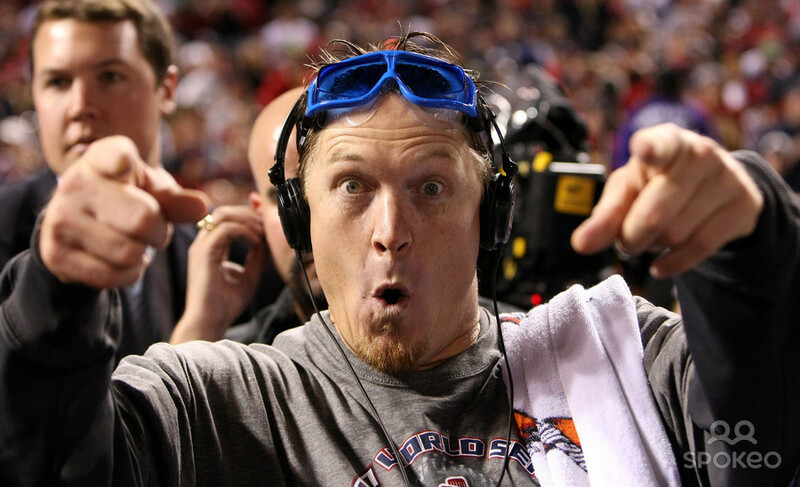 PED use or not, Stem Cell technology, and who knows what else has aided Colon’s body over the last 3 seasons of success. Yes he was 18 – 6, with a 2.65 ERA – finishing 6th in AL Voting, however the A’s went and paid someone else, and usually they are not wrong on guys. The 40 Year Old from Dominican Republic, is also a gigantic man who decimated his hamstring during a PFP out in 2011 with NYY. You have to think his lucky streak is numbered sooner or later – and especially on the basepaths in the NL hitting a few times a game. Remember when you graduated, or just had a school yearbook, and one of the best features was a ‘Most Likely To‘ Section. It could have been John is most likely to succeed at playing football, or Sally will make a fortune by selling her clothes fashions to Hollywood Diva’s. Lets do this for the MLB 2014 as it sits. 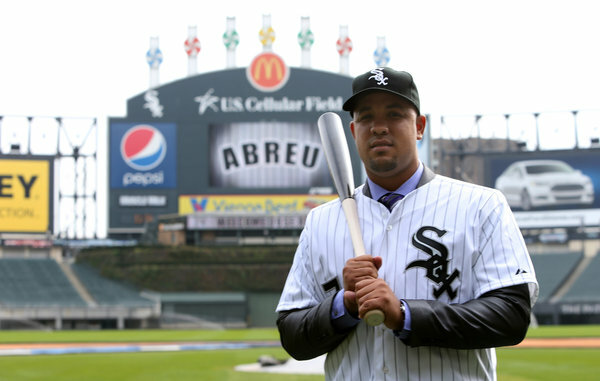 Jose Abreu signed the most lucrative contract for an international signee in MLB history – at 6 YRs/$68 MIL, before Tanaka eclipsed his deal (7 YRs/$155 MIL). He’ll more than likely start the 2014 season with the big club, rather than starting in the minors. He’ll spend most of his time at first base, with (more than likely) some occasional starts at DH. Let’s play a game. Let’s play “White Sox What Ifs” 2014 version. And let’s assume that if 7 out of these 10 What Ifs come to fruition, our White Sox are going to the postseason in 2014. So let’s start…. (1.) What If Adam Eaton becomes the on-base machine it appears he could be so far in Spring Training? The White Sox haven’t had a lead-off hitter of his caliber since Scott Podsednik. Not only can Eaton get on base with regularity, he can steal bases. He can stretch singles into doubles, and doubles into triples. He’s everything a lead off hitter should be. And he can bunt. Enough said. Your mouth waters with just the above? Wait. He can play defense, unlike your beloved Scotty Pods (who also had the limp arm of an 8 year old). Eaton possesses similar daredevil-type maneuvers that Aaron Rowand possessed.